Here's an offering that's part beach, part tropical, and 100% beautiful. 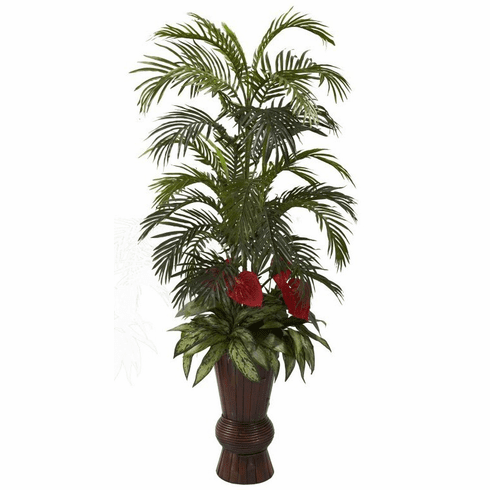 This Areca and mixed greens gives a burst of color, along with wispy fronds rising upward then splashing out in waves of green. This colorful concoction is housed in a beautiful bamboo planter that perfectly complements the beauty. Plus, it never needs sun or water. Makes a great home or office decoration, and also makes an ideal gift. Height= 58 In. X Width= 27 In. X Depth= 25 In.